Having luxurious skin is considered the essence of youthfulness for many people. However, the natural effects of aging or improper skin care can cause us to develop facial imperfections such as wrinkles, acne, and irritation. It takes a lot of extensive care to maintain a healthy and smooth appearance, though this care is necessary to achieve your desired skin aesthetic. 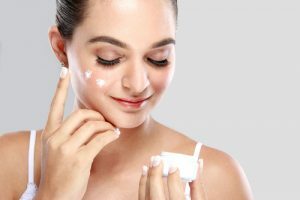 Maintaining a daily skin care routine can help minimize these issues, and it is the first step to providing your skin with the proper treatment it needs. Here are some helpful tips to help you keep your skin looking healthy and rejuvenated. Just like your muscles need to recover after an extensive workout, your facial skin needs time to rest in between your skin care routines. It is recommended that you exfoliate your skin at least one to two times per week. Also, make sure you drink plenty of water to keep your skin hydrated. If you plan on being outside most of the day, then you better pack the sunscreen. While many of us desire that brown, golden tan, overexposure to the sun can come with consequences and cause your face to age quickly. Applying sunscreen to your face not only prevents you from getting a bad sunburn, but it offers protection from the sun’s harmful UV rays that can cause wrinkles, sun spots, and other facial imperfections from developing. While many of us find it easy to pull an all-nighter or stay up late watching one more episode of our favorite TV show, not getting the proper amount of sleep harms both our physical health and our facial appearance. Not giving your body seven to eight hours of rest can cause your face to develop under-eye bags, inflammation, breakouts, wrinkles, and more. To learn more about proper skin care, please contact our office by calling (714) 312-3549.